Mark your calendars for November 14–16, 2019, for PhysCon 2019, the largest gathering of undergraduate physics and astronomy students in the country! Photo credit: GoProvidence.com. 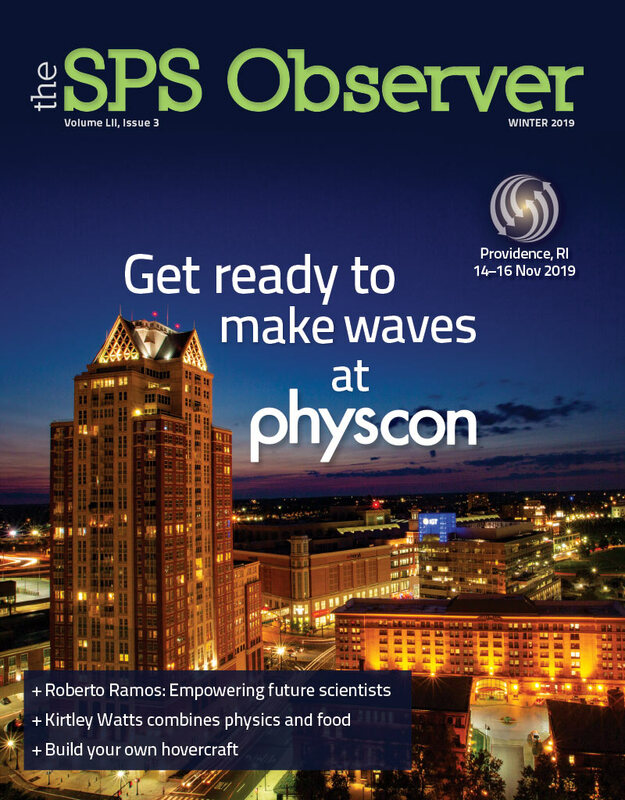 The SPS Observer is the quarterly magazine of SPS. Subscriptions to the print version are included with your annual SPS national membership dues. Please keep your address up-to-date to ensure delivery.